All our staff are trained, certified professionals that can handle all your vehicle's audio customization needs. From a simple factory swap-out to a competition-ready custom make-over, no car audio job is too small or too big. There's no need to look any further than the mobile audio experts at Mobile Electronics. Multi-function CD/DVD receivers, monstrous power-output amplifiers, crystal-clear speakers, bass-thumping subwoofers and a full-line of performance accessories are just some of the products we carry from brands like Kenwood, Memphis Car Audio, Pioneer, and many more. 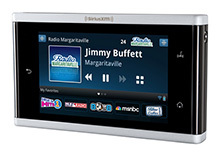 We have the latest in SiriusXM Satellite Radio, iPod connectivity and Bluetooth-enabled devices as well. Ask us about custom installation services. You provide the vroom...we deliver the boom! with a new car audio system installed by the mobile audio experts at Mobile Electronics. Aftermarket audio equipment offers better performance, better sound, more features and are direct-fit replacements for factory equipment. So stop by our showroom and see the latest in audio innovations. Have a boat or personal watercraft that you want to amp up the sound quality on? 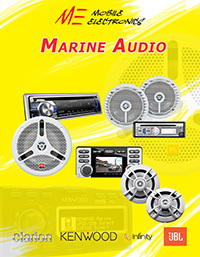 Mobile Electronics carries a variety of Marine Audio components from Kenwood and others. Welcome to the world of satellite radio - it’s unlike anything you’ve ever heard before.  Commercial-free music, all your favorite sports, talk, comedy, entertainment, news, traffic, weather and more. Stinger has all the car audio power and connectivity accessories you need to get the best sounding, most powerful performance from any car stereo - from wiring kits to power cells, interconnects, capacitors and much more. To get the most out of your new car audio system, install Stinger RoadKill sound deadening material in your vehicle. The Ultimate In-Car iPod Integration Solution for Select Vehicles. The iSimple GateWay is the ultimate car integration kit, providing a seamless connection between your iPod or iPhone and the factory-installed, satellite-ready radios in many 2003-2011 vehicles.